More than 50 retailers will be participating in the newly rebranded Canadian Independent Bookstore Day on April 28. The event has shifted its focus from its previous incarnation as Authors for Indies, which for the past three years has featured writers handselling titles at local bookshops. This year will rely less on author appearances and shift the spotlight back to the bookstores themselves. The shift comes from changes behind the scenes. Authors for Indies founder, author Janie Chang, has stepped down, handing the event over to the Retail Council of Canada, with consultation from booksellers Shelley Macbeth (Blue Heron Books, Uxbridge, Ont.) and Mary-Ann Yazedjian (Book Warehouse, Vancouver). “She put her own money into it, it was an amazing thing for her to do for the bookstores, but she’s trying to write her third novel and has a lot going on,” says Yazedjian. 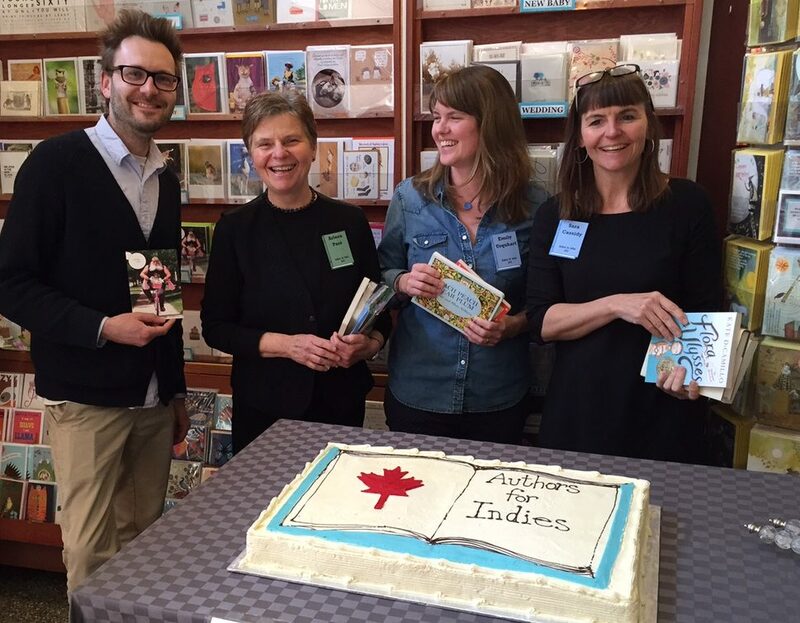 Going forward, Canadian Independent Bookstore Day will celebrate the role of indie booksellers within their local communities. “I think that is hugely important,” says Yazedjian. “For the past few years the focus has been on the authors, where we really wanted it to be on the bookstores. This means bookstores don’t have to worry about having authors in for the day if they don’t want to. At Book Warehouse, Yazedjian has a full day planned, including authors recommending books, a spinning wheel for prizes, and a name-the-stuffed-dragon contest. “We’re going all out here,” she says.